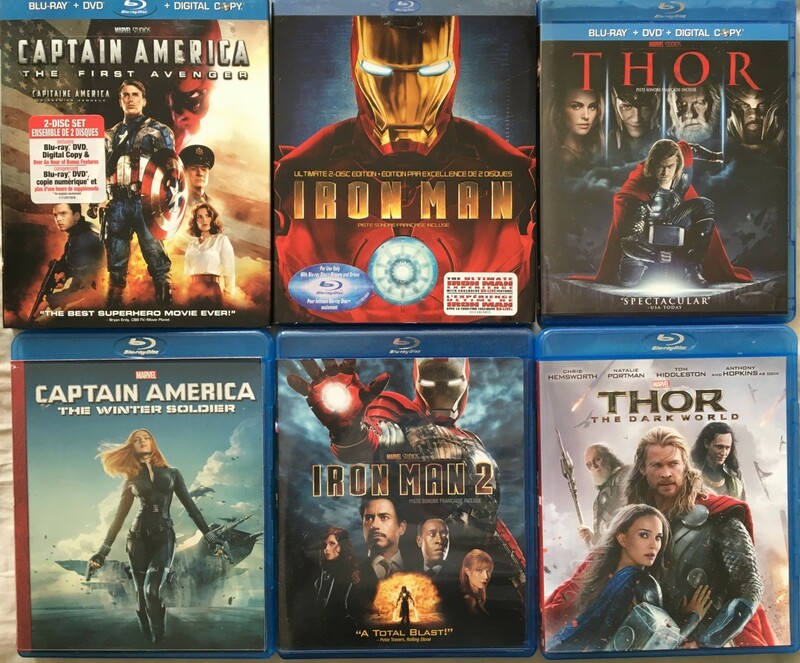 Lot of 6 Marvel superhero movies on Blu-ray: Captain America The First Avenger and Captain America 2 The Winter Soldier; Iron Man and Iron Man 2; Thor and Thor 2 The Dark World. 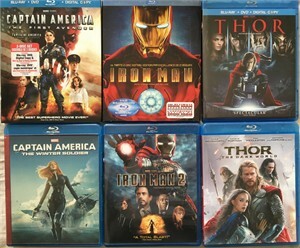 Some are Canadian versions with English and French language versions. All in LIKE NEW condition. ONLY ONE LOT AVAILABLE FOR SALE.